Mantic Games run an amazing kickstarter earlier this year and fully funded their upcoming Hellboy board game! The game will be shipping in early 2019, but if you can’t wait for your fix of Mike Mignollas excellent demon hero the Nottingham based company have a treat for you. 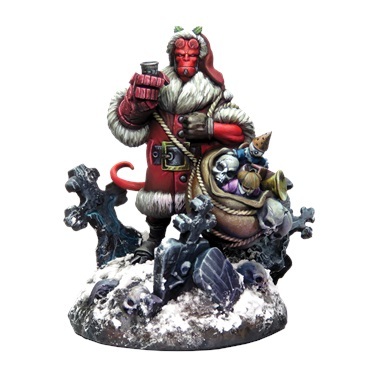 This lovely sculpted model is only available during December and only from Mantic directly. Hellboy The Board Game will be available from February 2019.